Big Brother Over the Top House guest. A early member of the “ballsmashers” Whitney ended up being a turn coast and joining Jason Roy’s couch smokers. Jason tells them what the girls are selling.. Basically offering him safety during the double. They have relized that Kryssie, Whitney, Justin are a three, Shelby, Alex and Morgan are three and Jason, Danielle are 2. Jason – are we missing too good of a shot we’ve been aiming for a long time..
8:15pm Backyard – Jason and Justin. Jason – I can’t be acting like its cool being in the kitchen with her. But yeah, no I’m fine. Justin – can I tell you something? It really worked!! Jason – do you think that everyone is buying it? Justin – yes! Jason – I’m no oscar award winner but as long as they’re buying it. Justin – they’re definitely buying it.. Kryssie was like are you okay!? Jason – Danielle reacting or is she just saying she’s okay? 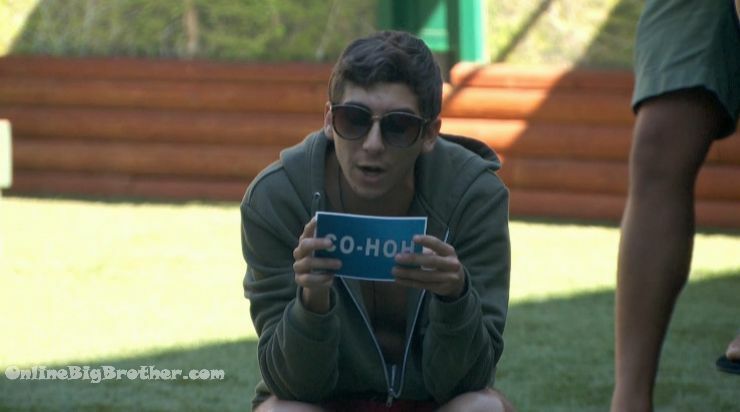 Jason says if Justin wins Veto he’ll moan about using it on Whitney. 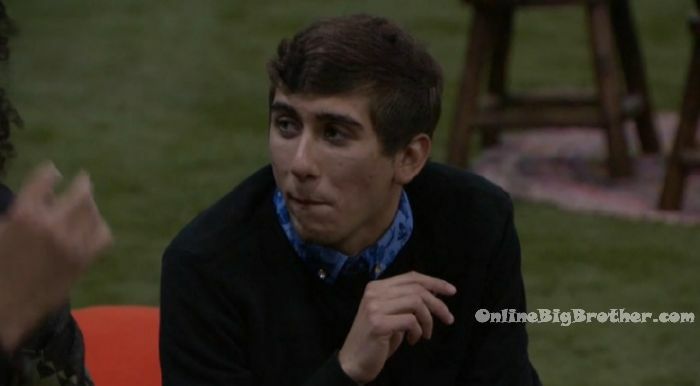 Jason – Whitney is a smart player Shelby gave me way more information than Whitney did.. And we saved Whitney. 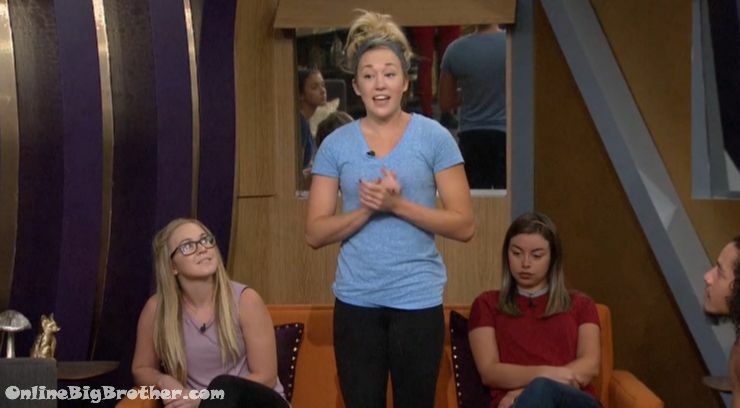 BB Math – Shelby is nominating Whitney & I am nominating Danielle. One of them is America’s nom..
8:15pm Justin, Jason, Danielle and Kryssie are in the HOH room. 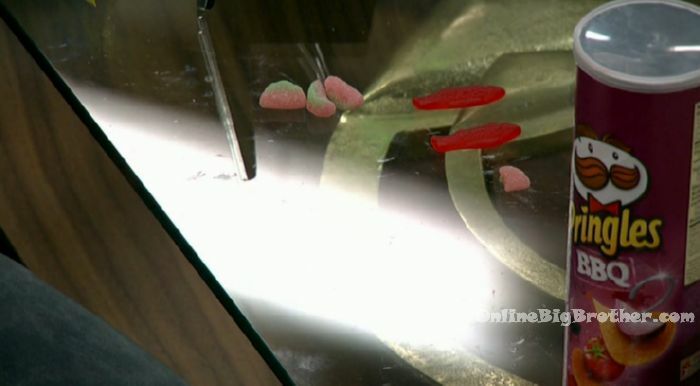 Jason is using candy to show them who he should nominate and why. Me and Shelby are not voting. She (Shelby) is nominating Whitney and I am nominating Danielle. One of them is America’s nom and it stays as that 3. 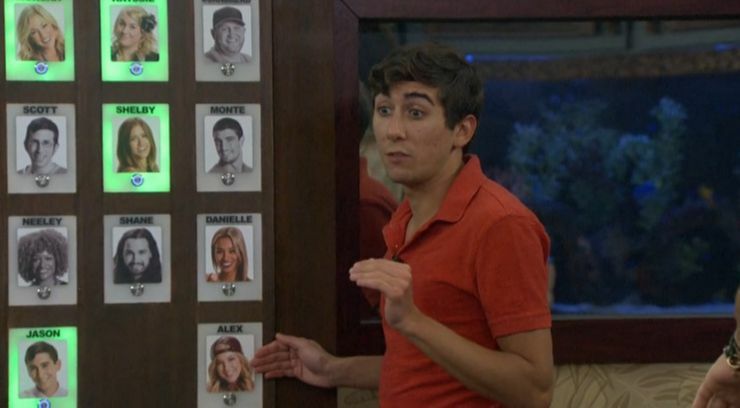 But there is no way it would stay as that three.. everyone would use the veto this week. 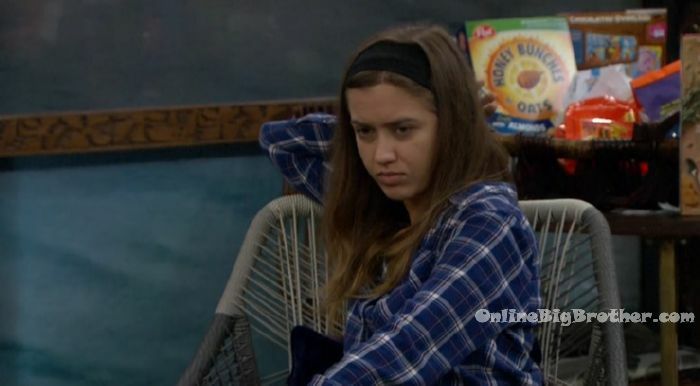 If Danielle comes down and we chuck up Alex .. then we have 3 for sure that are going to vote out Alex. 9pm Backyard – Danielle joins Justin and Jason. Danielle – they (the plastics) did something really nice for me. Jason – they really thinking you’re going home. Danielle – they gave me some of the ice cream I like. Justin – they didn’t give you the whole thing though? Danielle – no. I didn’t even expect this. Jason – they must really believe I want you to go home and they’re like this is Danielle’s last week, lets be nice. Jason – thanks America.. I got Smores stuff and a best friend necklace.. 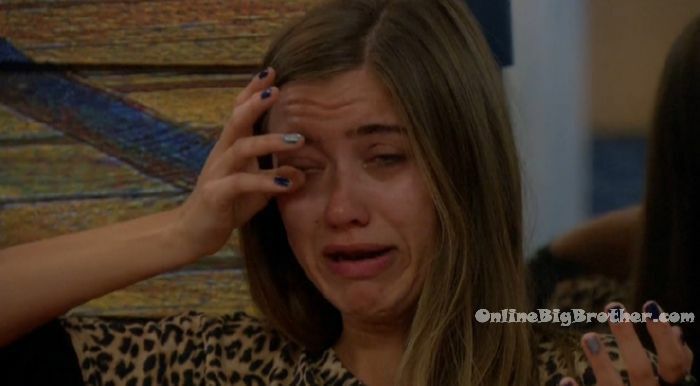 Neither Shelby or Jason get to compete in the next HOH. They share the HOH bedroom. Big Brother will explain how the safety ceremonies go later. They both Play in the Veto in the event of a tie during Eviction the person that performs best in the veto will break the tie.